Learn and build on GCP for free. $300 free credit to get started with any GCP product. Free usage limits on participating products for eligible customers, during and after the free trial. Offer is subject to change. Platform for building scalable web applications and mobile backends. Best in class performance, reliability, and pricing for all your storage needs. A global service for real-time and reliable messaging and streaming data. A serverless environment to build and connect cloud services with code. One-click container orchestration via Kubernetes clusters, managed by Google. Monitoring, logging, and diagnostics for applications on Cloud Platform and AWS. Fully managed, petabyte scale, analytics data warehouse. Label detection, OCR, facial detection and more. Speech to text transcription, the same that powers Google’s own products. Derive insights from unstructured text using Google machine learning. Manage your infrastructure and applications from the command-line in any browser. 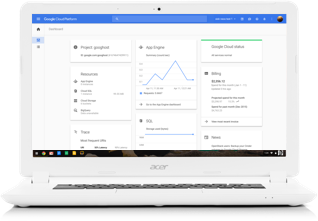 Fast, consistent, reliable builds on Google Cloud Platform. Multiple private Git repositories hosted on Google Cloud Platform. Launch free production grade solutions. Looking past the free tier? Google’s technical infrastructure is built to let you do more with less. 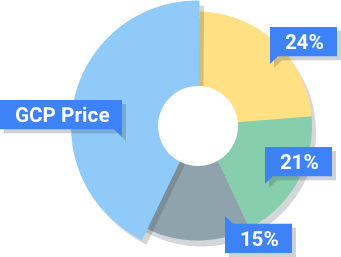 Our customer-friendly pricing is on average 60% less for many compute workloads compared to other cloud providers. View step-by-step tutorials contributed by the GCP community. 12 months and $300 free credit to get you started. Always Free* products to keep you going.